The December 10, 2015 edition of the Times-Tribune is now available. 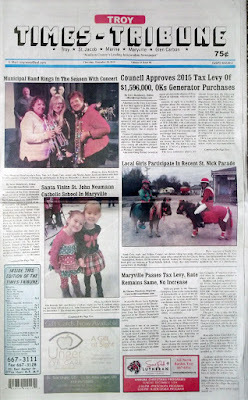 Some of the headlines in this issue: Council Approves 2015 Tax Levy, Municipal Band Rings in the Season with Concert, Maryville Tax Levy Remains Flat, Marine Seeks Grant To Fund Road Improvements, Public Awaits Full Results of PARCC Tests for Triad, St. Jacob Police To Upgrade Communications To New World System, Lady Knights Post 2 Key MVC Victories in A Week, Triad Spikers Place Five On All-MVC Teams; plus we have an editor's column about coming elections, our usual “It Happened Here” page, and a photo spread of the Troy Municipal Band's Christmas Concert. 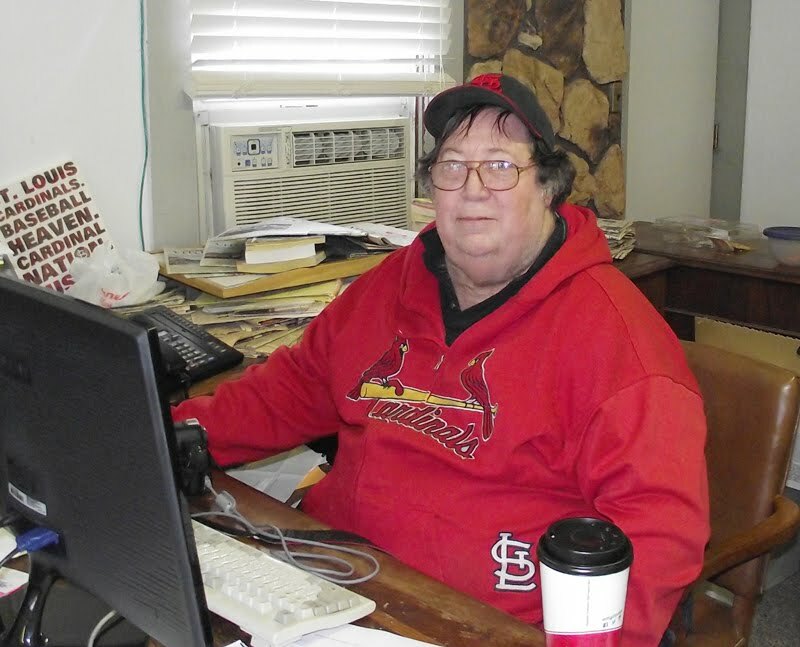 Subscriptions to the Times-Tribune are available by calling 618-667-3111, by visiting our offices at 201 East Market Street in Troy, 8 a.m. - 5 p.m., Monday through Friday, or by sending us a letter asking to subscribe. To place a display or classified advertisement, please call or stop by our offices.